Pet friendly Sedona Room for medium to large dogs. 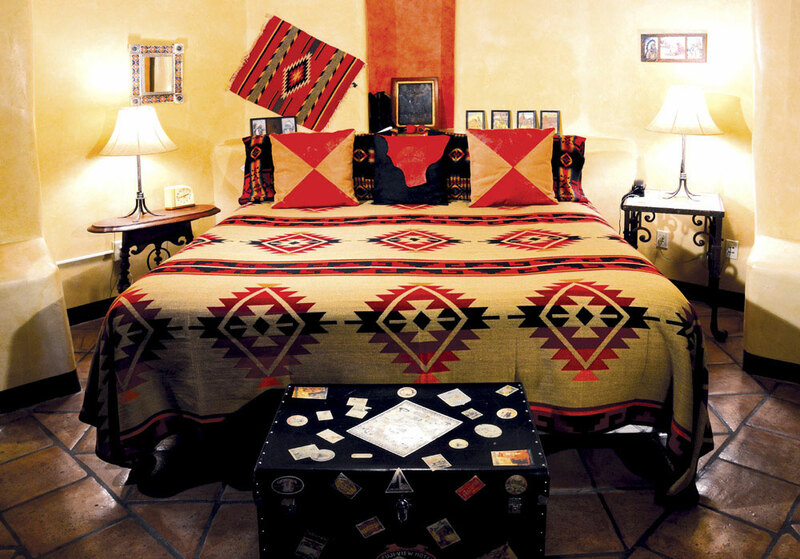 This spacious and surprising room features the unmistakable “High Style Cowboy” design of 1930’s Western craftsman, Thomas Molesworth. The dramatic crossed-beam ceiling and solid log columns flank a king-sized bed with built-in headboard. 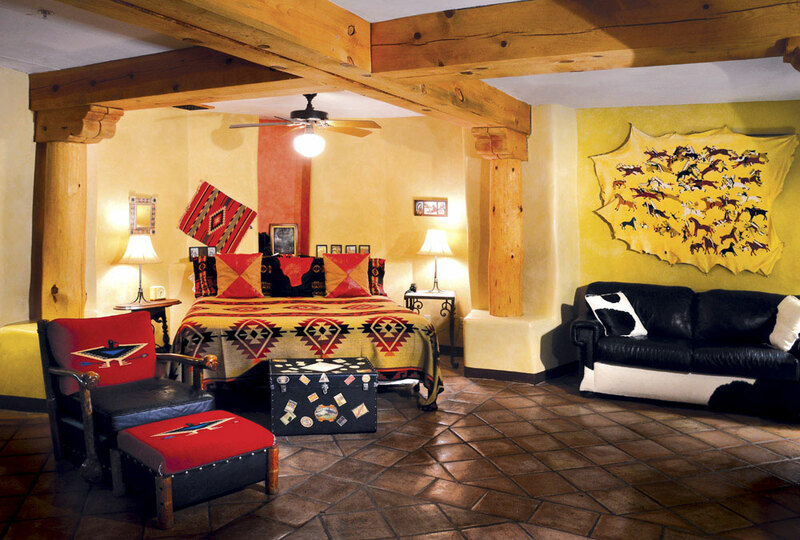 Distinctive Molesworth furniture designs are seen throughout the Sedona luxury hotel room, including a large lounge chair and ottoman. A large armoire of hand tooled red leather faces the bed, and a leather and hide full-sized sleeper sofa can accommodate extra guests. 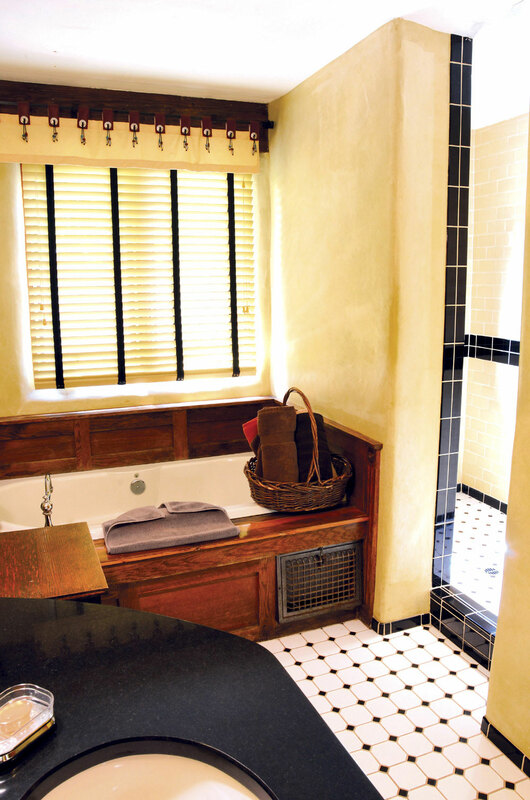 The bath features 1930’s style black and butter yellow tile work, stained glass accents, a hot air whirlpool tub and separate shower. This is a pet friendly room for medium to large dogs.